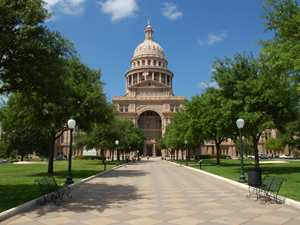 The state capital of Texas, Austin is one of the best year-round destinations in America. Best known for its enormous collection of live music venues and some of the best food in the world, Austin is unquestionably a city to include on your bucket list. And not only does it have a wealth of attractions and activities, it’s also close to one of the best wine producing regions in the country. If you still need convincing, here are 10 of the best reasons to make Austin, TX your next vacation. With more than 250 live music venues, Austin certainly lives up to its moniker as the Live Music Capital of the World. Perhaps best known for its honky tonks, among the best nightspots to check out in Austin are the White Horse, Ginny’s Little Longhorn Saloon, Pete’s Dueling Piano Bar and the “grandaddy of all local music venues,” the Continental Club. Austin also is home to larger venues, like the Frank Erwin Center on the University of Texas campus, with upcoming appearances from headliners like Ed Sheeran, Brian Wilson, Shania Twain and Sam Smith. The Texas state capital is also home to two of the world’s most famous music festivals – South by Southwest (SXSW) and Austin City Limits Music Festival – along with other notable events like the Fun Fun Fun Fest. This year’s SXSW, the largest music festival of its kind in the world, drew nearly 85,000 registered attendees and included guest appearances from John Legend, Jessica Alba, Snoop Dogg, Ludacris, Mary J. Blige, Miley Cyrus and other top music artists. The Austin City Limits Music Festival is an annual fall event held in Zilker Park and inspired by Austin City Limits, the longest running music series in American television history. Last year’s event drew about 250,000 visitors and featured headliners like Eminem, Pearl Jam, Beck, Skrillex, Lana Del Rey and Lorde. Whether you stay directly in the heart of the city or just outside, Austin is teeming with amazing resorts and spas. Among the best is Lake Austin Spa Resort which is tucked away in the beautiful Texas Hill Country directly north of the city center. The spa features a truly unique experience where you’ll get pampered and can take advantage of everything from yoga, cooking classes, hiking and much more. Whether you want to focus on your health and fitness, or need some time to reflect and relax there is something for everyone at Lake Austin Spa Resort. If you’re intent on staying within the city center, The Driskill Hotel, The W Hotel and the Four Seasons are among the best. Austin ranks among the best cities in several national rankings. Among the distinctions: one of America’s Best Bike Cities by Bicycling Magazine, Top 10 Fittest by Sharecare, Most Vegan Friendly in America by PETA and among the friendliest in America for members of the LGBT community. But the long list of accolades don’t just stop there. Indeed, Austin is also mentioned among the nation’s best for one of the best hikes, best economy, future growth and one of the safest large cities. Austin may be one of the most vegan friendly cities in America, but it’s also widely acclaimed for cooking some of the best barbecued food you’ll ever enjoy. The best spot is up for debate, but one business that has been consistently appearing at or near the top of every Best Barbecue in Austin list is Franklin Barbecue, which was named best in America by none other than Bon Apetit. However, there are tons of outstanding barbecue spots all over the city, including La Barbecue featuring Certified Angus Beef, Lamberts Downtown Barbecue and J. Mueller Meat Company. Austin gained significant attention to its amazing food trucks when Paul Qui, co-owner of East Side King was named Season 9 winner of Top Chef. Qui and his business partner, Moto Utsunomiya, have food trucks at a handful of locations and there’s also a more upscale experience at Qui Austin, named one of the Best New Restaurants in America last year. Still, it’s just not East Side King that’s worth visiting for extraordinary street food. Top recommendations include Garbo’s Lobster Truck, Micklethwait Craft Meats, Nutter Buster BBQ and Comfort, Gourdough’s and Chi’Lantro. Barbecues and food trucks get plenty of attention in Austin, but there’s also a diverse collection of fine restaurants that shouldn’t be ignored. In fact, it’s Uchi – a Japanese restaurant ranked tops among more than 3,200 restaurants in the city and led by Tyson Cole, a James Beard Award-winning chef. Other outstanding restaurants worth a visit are Uchi’s sister restaurant Uchiko, Eddie V’s Edgewater Grille and the Driskill Grill in the landmark Driskill Hotel. With an enrollment of more than 52,000 undergraduate and graduate students, the University of Texas at Austin has one of the nation’s largest single-campus enrollments. With a faculty boasting recipients of prestigious awards such as the Nobel Prize, the Pulitzer Prize and the Turing Award, the University of Texas is one of the country’s leading public research universities and often cited as one of the “Public Ivies”. Football fans will no doubt enjoy a chance to watch the Texas Longhorns compete against Big 12 Conference rivals like cross state rival Baylor University and Oklahoma. The team’s slogan and hand signal, “hook ‘em horns,” is one of the most famous in college football. Among the top attractions to visit on the campus are the Lyndon Baines Johnson Library and Museum, the Texas Memorial Museum and the Harry Ransom Center. Just south of the campus is the Bullock State History Museum, the most prominent institution of Texas history. Just minutes south of the University of Texas campus, the Texas State Capitol is one of the tallest state capitol buildings in the country. Even taller than the U.S. Capitol, this enormous structure houses the office of the Governor of Texas and the offices and chambers of the Texas Legislature. The capitol building is located on 22 acres and features several notable monuments and statues, such as the Heroes of the Alamo, Disabled American Veterans of Texas, a bronze miniature replica of the Statue of Liberty and the Texas Cowboy. Not to be mistaken with the more famous river of same name further west, Austin’s waterway is the longest in Texas. With more than 300 days of sun, the Colorado River is a prime source for outdoor recreation, particularly during the notoriously hot summer months. The most popular spot to cool off in the city is the three-acre Barton Springs Pool, located in Zilker Park along the river. Other great spots near Austin include Lake Travis, Lake Austin and the must-see New Braunfel community south of Austin, filled with historical buildings, family friendly attractions and the largest caverns in Texas. Lastly, but most importantly for wine lovers to visit Austin is that it’s located in one of the most important wine regions in the country and second most visited in America. Along with some great wine bars like the Red Room Lounge and Vino Vino, Austin is within driving distance of more than 30 world-class wineries. Three AVAs (American Viticultural Area) are located in the Texas Hill Country, including Texas Hill Country AVA, the second largest appellation in the country, located just west of Austin. Many of the best regional wineries can be found along the Fredericksburg Wine Road 290, including Becker Vineyards, named one of America’s best wineries by the Daily Meal. Wherever you decide to go, staying at the Lake Austin Spa Resort will put you in the center of the region.